Returning: Family Guy, American Dad. Favourite animations Family Guy & American Dad are back with new episodes tonight on 7mate. Family Guy picks up from S15E18 while American Dad is S14E10. Both aired in the US in April. 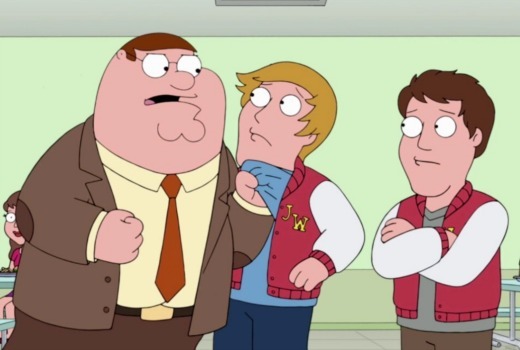 Meg takes advantage of Peter’s temporary job as principal. Klaus becomes the navigation system in Stan’s car. Local gamer series screenPLAY airs at 10pm. How long will it last though? Hearing they hope to run into new seasons but yet to be confirmed.